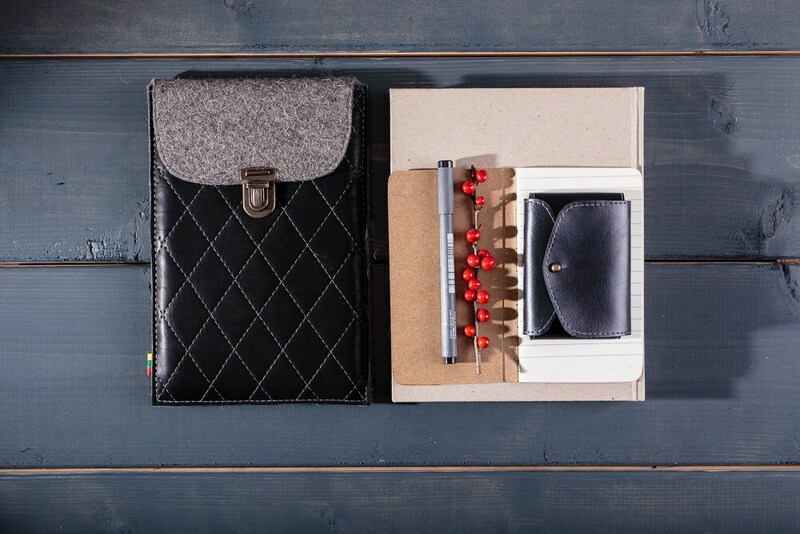 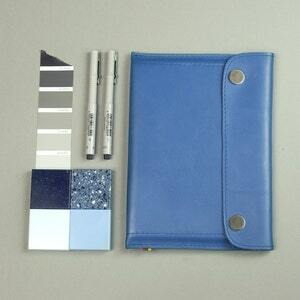 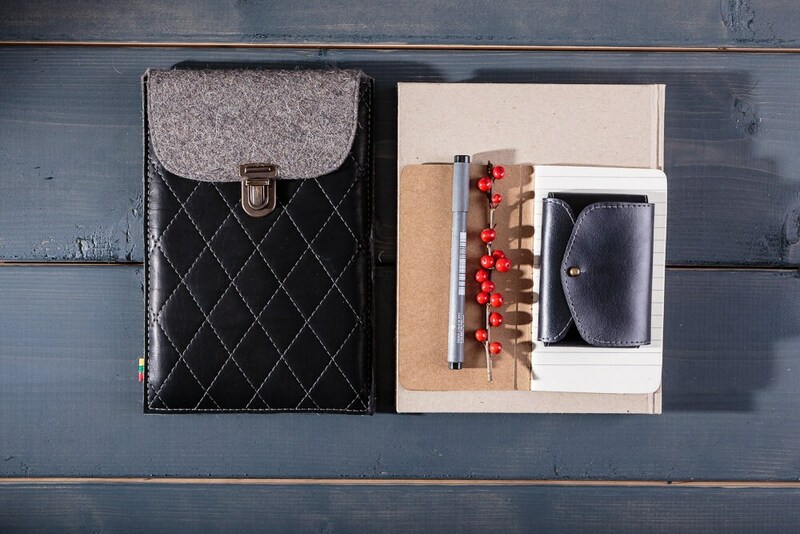 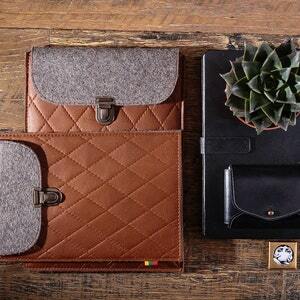 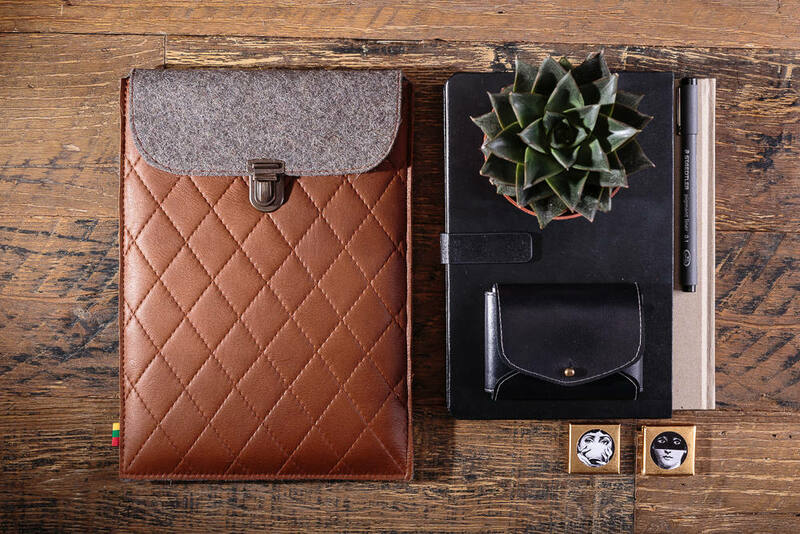 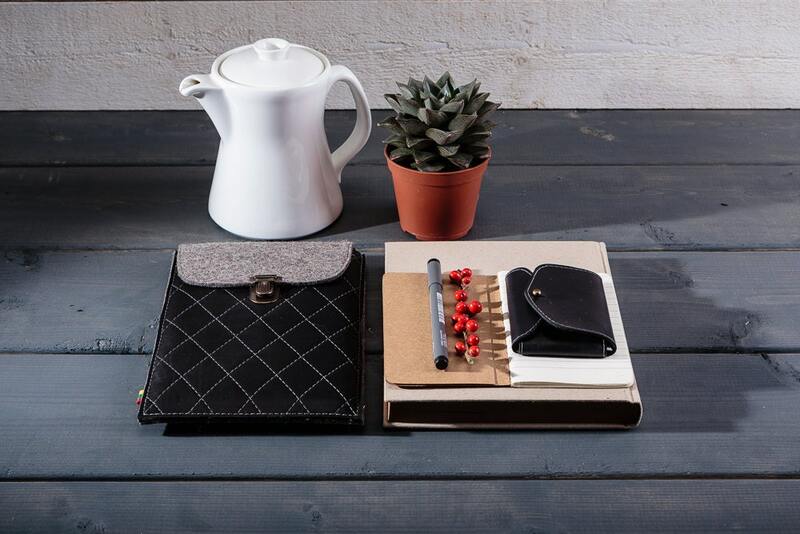 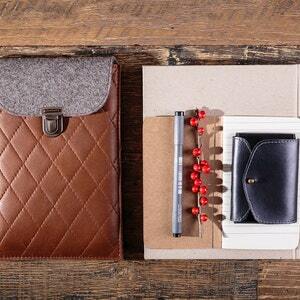 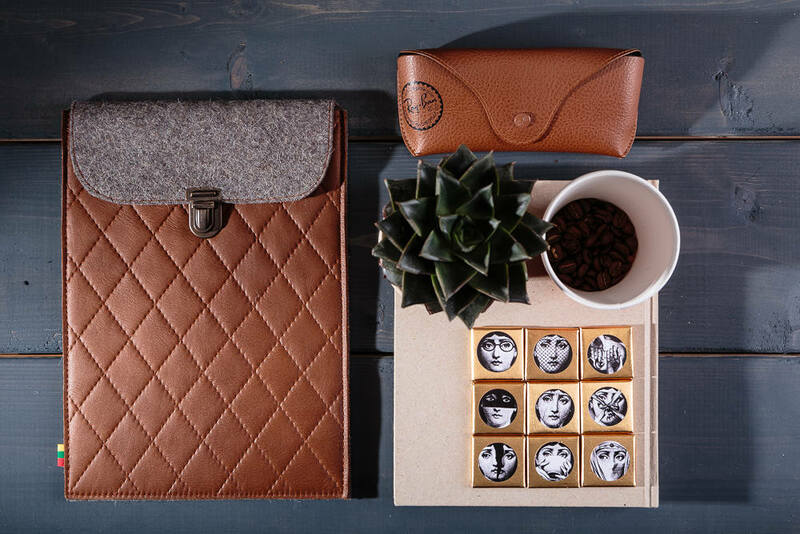 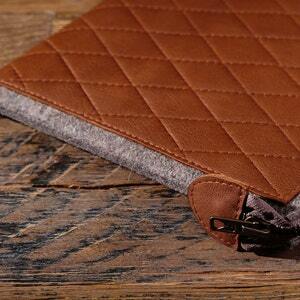 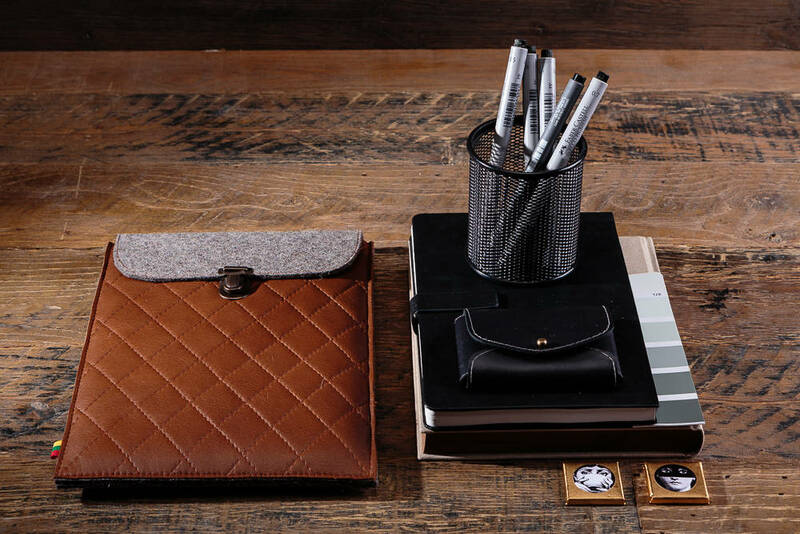 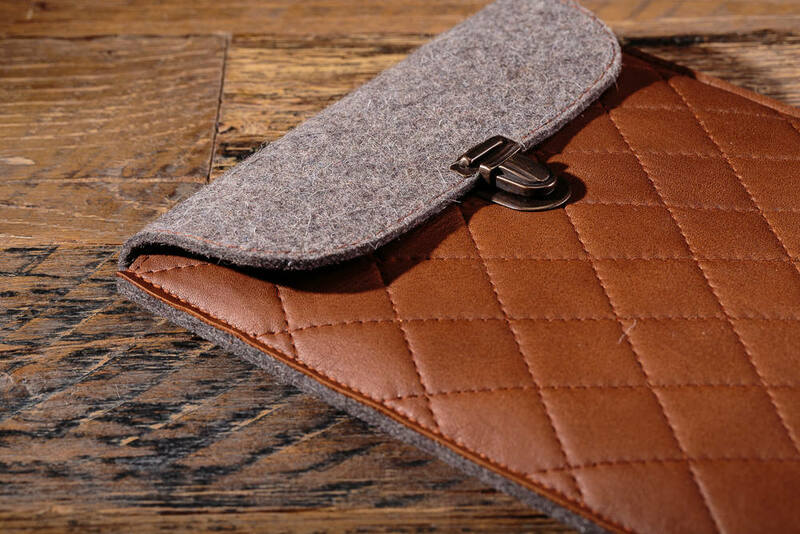 Leather iPad mini case is made of high quality 100% wool felt and genuine leather (hand cut, dyed and waxed cow leather, vegetable tanned). 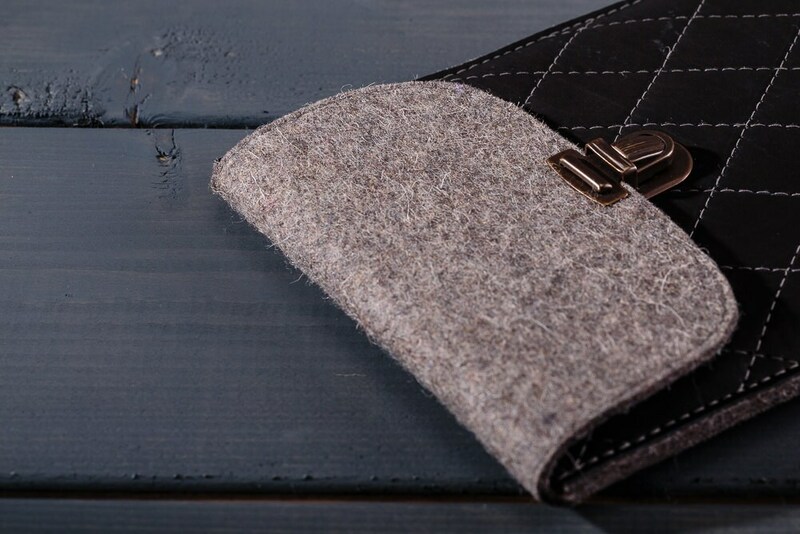 Wool felt is made in Lithuania (gray and brown color mix), Natural looking and feeling protects your device perfectly. 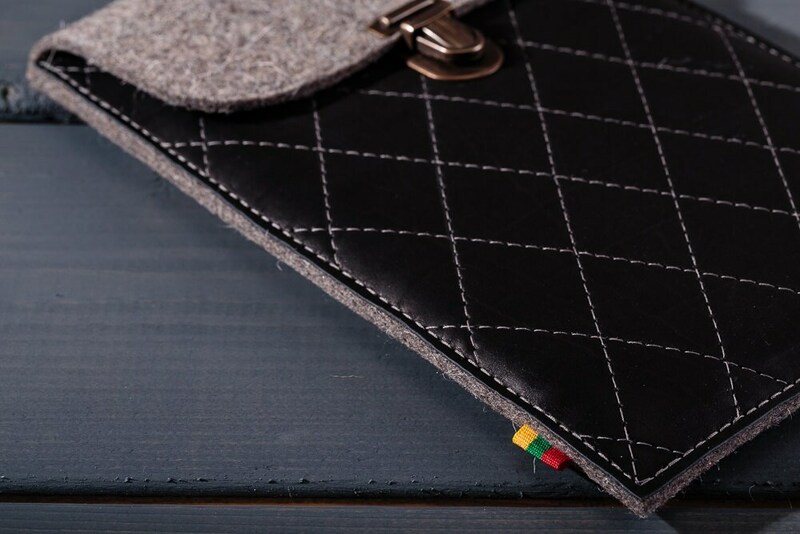 Felt thickness 3mm, shock-absorbing, antistatic, water repellent, recyclable, very soft and pleasant to touch.